Manoir du XVIII ème siècle rénové de manière exquise, avec climatisation, pouvant recevoir 30 hôtes. Our party of 28 stayed at Villa Catalina in May 2017 for our wedding which was also held there and it was everything we could have wished for. We arranged wedding suppliers independently of Villa Catalina before we were aware they could have done this for us, however they were happy to let us use our own suppliers. Wedding with 85 guests went off without a hitch. 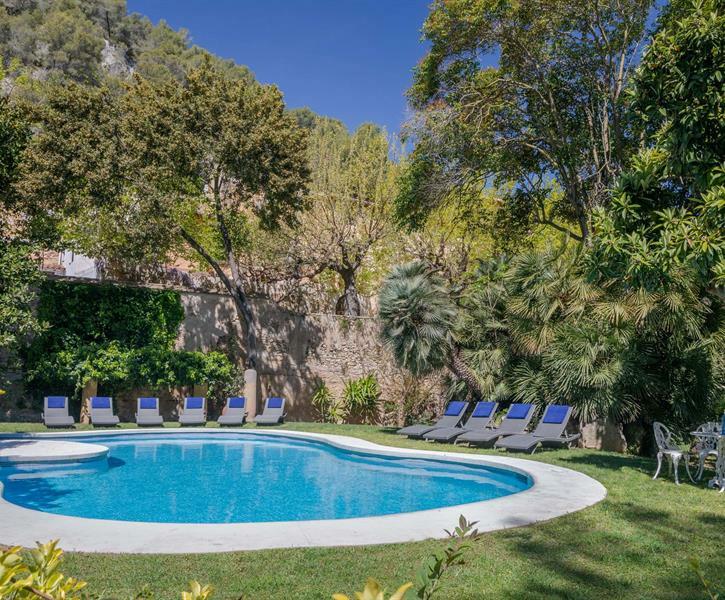 Villa Catalina is enormous and typically rustic Spanish with some contemporary luxuries thrown in too. The villa and grounds are absolutely beautiful and were immaculate during our stay. Helpful team at Villa Catalina including Alan and Simon the groundkeeper who did a lot of running around for us – taxis etc. which was really helpful. Arranging taxis was a bit of an issue (through no fault of Villa Catalina) as we were such a large group so would recommend hiring a car or two! Professional and helpful service from start to finish. Thanks Boosten Group! Wonderful villa- beautiful bedrooms with spacious bathrooms, gorgeous terrace for relaxing and eating under the vines. Pool area- absolutely delightful. Highly recommend local restaurant and catering. We went to celebrate our 40th and are already planning to come back for our 50th!